Before we left on our cycling adventure, we pared down our possessions significantly. It was difficult at first, to let go of so many things, but we eventually came to relish the freedom that treading lightly on this earth provided. When we returned, we were shocked to find that the things we saved still amounted to quite a lot of junk. 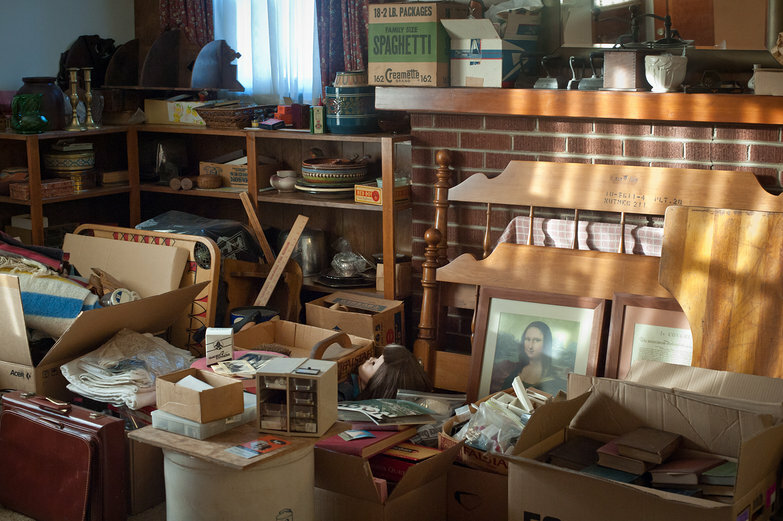 Recently, the process of preparing an estate sale revived a desire to edit our lives with the scalpel of scrutiny, realism, and organization. This week, we went through all of our belongings once more, discarding even more superfluous junk. We managed to fill an entire car-load with the resulting boxes, and it felt so good to leave them behind at our local Goodwill. People are meant to be loved. Things are meant to be used. The reason why the world is in chaos, is because things are being loved and people are being used. Thankfully for us, not everyone harbors such a militant outlook on possessions. In this day and age, there is a market for anything. Goodwill is happy to re-sell what we deem unnecessary, while an auction company has a heyday with the rest. Our forgotten things will soon become new—for someone seeking a meaningful addition to their coin or stamp collection, or someone else entirely, hunting for obscure pieces of china. Undoubtedly there will be "pickers" as well, seeking esoteric treasures amidst the things we've discarded. To each their own, we suppose. May they find joy therein. Had to giggle as i read your post. We've just had a similar experience returning to Melbourne and going through all our 'stuff' again. Like yourselves, we'd pared down before the trip but still managed to fill the car with things destined for the charity shop. Living with so few possessions during our time away has made us grateful for what we have and has killed any desire to accumulate new ones or to venture anywhere near a shopping centre. There's so much more to do in life! Hope you're both well and enjoying your new projects. "Living with so few possessions during our time away has made us grateful for what we have and has killed any desire to accumulate new ones or to venture anywhere near a shopping centre. There's so much more to do in life!" I really enjoyed that video! Thanks for sharing it!